SmartPrint Fleet Management is one of the fastest growing managed print service companies in Australia that specialise in the supply, management and maintenance of laser printer and photocopier fleets nationally encompassing all service, equipment, maintenance and consumables. In fact we are the first in Australia founded exclusively, wholly and solely for the purpose of printer fleet management and MPS (managed print services). SmartPrint are unique in the fact that we are 100% brand independent making us one of the only companies delivering flexible services that can be tailored to an individual customer’s requirements. Our aim is to improve return on investment, reduce operating costs and simplify the supply and maintenance of your network printers and copiers. Call us today for a free assessment 1300 727 356. View our corporate video below. 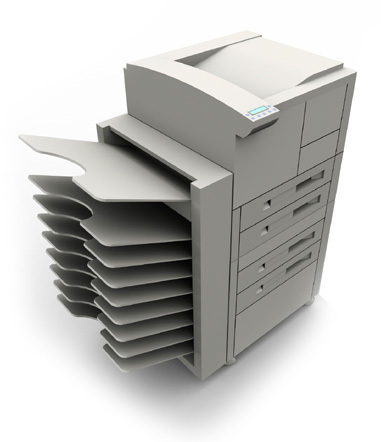 SmartPrint Fleet Management has been fortunate to have helped hundreds of Australian companies and government entities service and manage their laser printer and photocopier needs over the past decade. We would like the chance to look after you. - David Guevara Head of Marketing – Print and Imaging PLM for Dell. SmartPrint explains what a true MPS is and what it should entail.